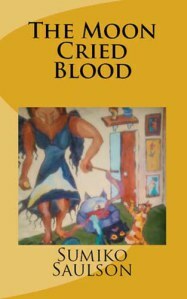 “The Moon Cried Blood” is free on Amazon for the Kindle. You can get it here. If you don’t have the Kindle, you can get a free Kindle Reader application from Amazon for your Mac, PC, tablet or smartphone here. It is said that the Wolf may howl at the Moon, but the Moon never howls at the Wolf. In the gritty urban streets of Los Angeles in 1975, Leticia Gordon is forced to come to terms with many things: the tragic death of her stepmother and baby sister in a car accident, fear she’ll wind up in foster care, and the sudden revelation she belongs to a long line of powerful witches known as Luna – who exhibit first power at the start of womanhood. I read this book because the premise appealed to me. Who wouldn’t be enticed by the promise of a good folklore/myth played out between man, animal, and nature? And true enough, the initial chapters were as captivating as the premise but as I continued with the story, I grew impatient and confused. Even though the author attempted to help the reader keep the similar-sounding names and family lines straight by filtering and layering in information, that didn’t help. I found myself lost in a maze of characters who did not stand out strong enough for me to latch on to. I kept having to recite relationships in my head and at one point actually thought about drawing a family tree. But that’s too much work for a fiction novel. For me, one of the goals of fiction is to entertain. Perhaps if the author had done more “showing” of the story instead of “telling,” the story would have been easier to follow. Also, I think it would have helped me stay engaged if the author had tackled one generation at a time instead of throwing in the entire kitchen sink (the psychic abilities, the myth, the types of wolves, etc.) in one fell swoop. Or, if not one generation at a time at least reduce the number of generations. The author packed a lot in this story–too much. There were however some strong themes that played throughout: good versus evil, the importance of family, redemption, and more. Unfortunately, the contrived actions and coincidental outcomes did little to underscore these themes. What did I like? I think the author is quite imaginative and her research seems impeccable. I also enjoyed the revisit to the ’70s, a period of time I don’t read enough of. Plus, it thrills me to match a title with the story. I’m surprised at how many books don’t marry the two. A friend asked me if I would read another book by this author and I said, “maybe.” My “maybe” lies in the fact that the author is very creative and as Toni Morrison said (paraphrased), writers improve with every writing. And I do think this writer will. A layered story. Interesting and intense. Taking you back through time and a girls discovery of her abilities. A fun read. ~ by Sumiko Saulson on July 17, 2013.